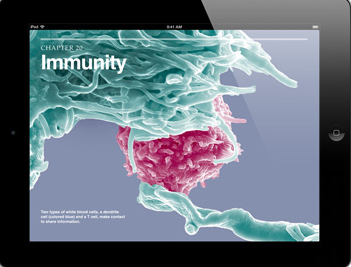 iBooks Author is a great tool for creating interactive ebooks. Unfortunately, creating content with iBooks Author isn't always as easy as you might hope it is. Back in June I shared a free 110 page book about using iBooks Author. However, if video tutorials are more helpful to you I have found twenty six videos that you should look at. Kinetic Media has a nearly one hour video that takes you through every aspect of creating an iBook with iBooks Author. The video covers everything from choosing a template to using custom HTML5 widgets in your iBooks. That video is embedded below. If sitting through a one hour video like the Kinetic Media iBooks Author video is a bit too much for you, take a look at this playlist of 25 iBooks Author tutorials from DIY Journo. The videos cover the same things as in the Kinetic Media tutorial, but each tutorial is its own short video.